Bangalore : IIM Bangalore is delighted to announce that Prof. P C Narayan, faculty from the Finance & Accounting area, has been selected for the ‘Teaching Innovator Award-2016’ by the Ministry of Human Resource Development, Government of India. The Award will be presented at a ceremony by the MHRD, soon. The teaching innovation that fetched Prof. Narayan the award was titled “Transitioning from a ‘Teacher-centric’ to a ‘Student-centric’ Classroom and Online Learning”. It involved innovative use of his 120+ MOOCs (Massive Open Online Course) videos in a ‘flipped classroom’ format for the courses that Prof. Narayan teaches at IIM Bangalore. 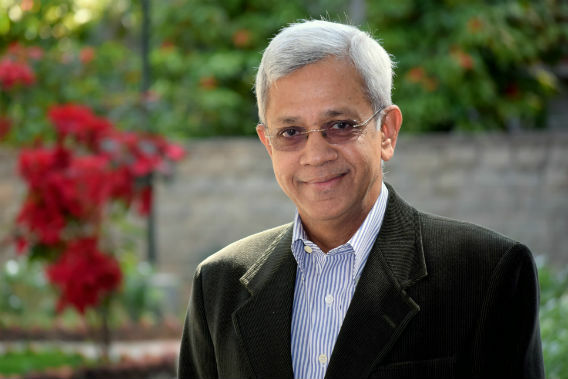 Prof. P C Narayan is among six others, across India, selected for the award. Prof. P D Jose, faculty from the Strategy area at IIMB, and Prof. Ramya Ranganathan, from the Organizational Behaviour and Human Resource Management area at IIMB, were among the 15 finalists for the Award. IIM Bangalore was the only institution from across the country with three of its faculty among the 15 finalists. Over 300 applications were received for the Award, of whom 50 were shortlisted for the next round and 15 of them made it to the finals.